Whether you choose to have a religious ceremony, a civil affair or a garden party, our wedding and function bands can assist with creating the perfect musical interlude to support your dream Brisbane ceremony at a dream price. Conservatorium trained musicians are selected to match your personalised requirements. SIZE: 2 - 6 piece band. Music with class. This versatile group has been performing in the Brisbane music scene for over five years, performing everything from jazz to funk to acoustic pop covers. With music degrees on their respective instruments, this ensemble continues to draw influences from around the world, fusing the traditional sounds and rhythms of Latin, funk, pop and jazz into their own creative interpretation. Moment’s Notice has earned its reputation as one of the best jazz / acoustic pop bands in the Brisbane music scene by being able to cater for all type of audiences in a stylish professional manner. Without doubt, Moment's Notice is the perfect group for any occasion, catering from small cocktail events, to charity balls of 450 people, weddings and parties. No job is too big or too small. Additional members for Moment's Notice are added upon request to suit the needs of the function. Add a harpist, strings, a singer, guitarist or pianist - whatever you want! All at a Moment's Notice. Call us today on (07) 3366 6555 for a quote! Your very own harp specialist to create a gentle and romantic setting as you walk down the aisle. We work with experienced string players who are perfect for ceremonies. Both acoustic and classical guitarists are available, and a very popular addition to weddings. Quotes will be based on the musicians required and the time of the event. To book any of these musicians, simply contact our friendly team and we will make sure it's arranged for you. All prices are inclusive of GST. No hidden fees! SIZE: Three to five piece band. Creator of Groove Elements, Stephen Smith has put together the latest and greatest addition to South East Queensland's event scene, "FunknStuff". Using some of Brisbane's coolest front-man vocalists, percussionists and DJ's, this unique group is able to perform a modern repertoire which is usually untouched in a live setting. FunknStuff rocks a party atmosphere and is guaranteed to have everybody on the dance floor at any event. Although they specialise in a modern approach to their repertoire, they can provide smooth cocktail lounge tunes for cocktails and dinner before the party really kicks in. They can also throw in some classic soul / funk / R&B hits to keep everybody happy. SIZE: Four to six piece band. Known for their dynamic and energetic performance, this awesome four to six piece band combines soul, R&B, funk, top 40 and everything between to provide a versatile and energetic show. Their outstanding level of style, professionalism and stage presence has the ability to get guests moving and shaking. With a team that consists of highly trained, experienced and accomplished musicians, you can trust the crew of Groove Elements to provide a show that is unmatched for its energy and enthusiasm. Whether it’s a wedding, black tie event, corporate function, club or festival, they will bring that party atmosphere to your audience and have them wanting more. SIZE: Two to three piece band. 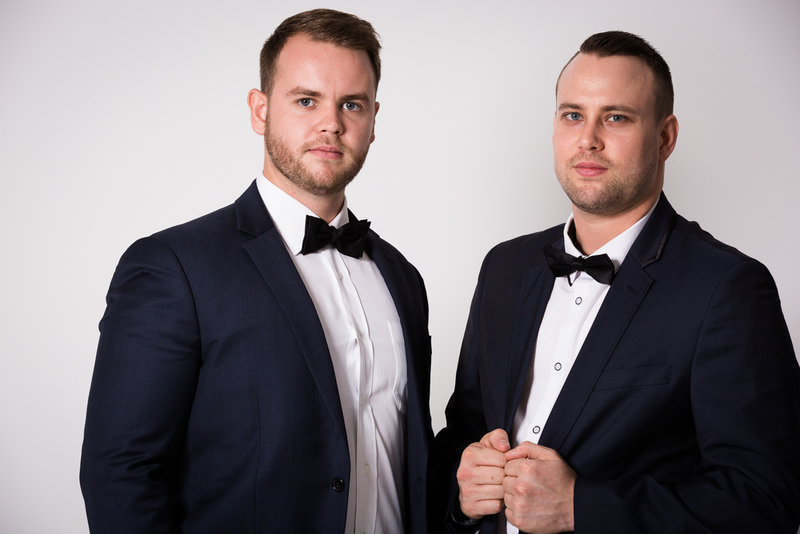 SEVENTEEN12 is a vocal and percussion duo performing current and classic top 40, dance and party tunes in an acoustic style. This dynamic pair, with their stunning vocals and percussive flair, give a fresh and modern take to the typical acoustic duo for any corporate event, function or wedding. SEVENTEEN12 as three piece line up is available featuring saxophone. From Stevie Wonder classics to Bruno Mars, Rihanna and Pharrell, this trio delivers a diverse range of 'feel good' party tunes to celebrate any occasion. Also available as a live four piece band adding acoustic guitar to the mix, SEVENTEEN12 is sure to create the perfect vibe at your special event. PERFECT FOR: Band breaks, after parties, everything! We have an experienced team of DJ’s who are perfect for your wedding reception. Whether it's performing all night long, playing in between band breaks, setting the mood with appropriate dinner music or playing at after-parties to get the party rocking, they can do anything you need. Our DJ’s are very versatile, meaning they can play whatever you need at any style of function. With their friendly attitude, you’ll find they’re so easy to work with and a great addition to any event. We also have an optional MC service which can be added onto the DJ package. Contact us any time to organise one our guys for your event. Rent your own microphone for the night to use for speeches. If you want to keep the party rocking, you might like to consider a DJ to provide music during band breaks. This is necessary for receptions with guests of more than 250 people or for outdoor venues. Band pricing is based on the industry standard of four sets within five hours. If additional sets or extra hours are required please allow an additional $99 per performer per hour. Choose the entertainment for your event!